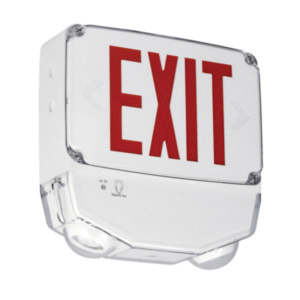 Hubbell Lighting Compass® Combination exit/emergency light has polycarbonate construction and white finish for durability. It has EXIT sign in red colored for easy identification. It uses two LED 3.6-Watt lamp. It has a voltage rating of 120/277-Volts AC and current ranging from 0.05 to 0.022-Amp.This single faced light uses nickel cadmium battery with a runtime of 90 mins. It is wall or ceiling mountable. It is suitable for conditioned space, damp location, wet location, cold temperature. 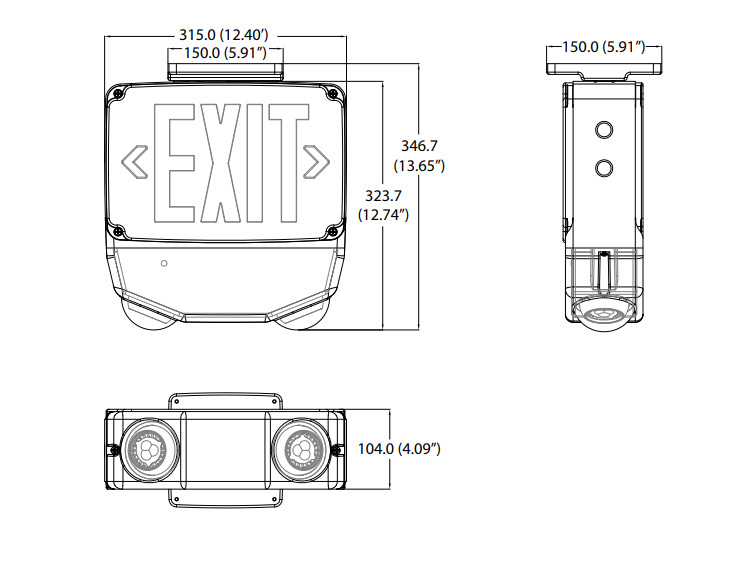 The exit/emergency light meets UL924, NFPA 101 and NFPA 70 and OSHA standards.